Valley Brook Parc features large and luxurious homes in the heart of Buckhead from the mid $500,000s. This is a terrific value for single-family homes located near Chastain Park. There are only 18 homesites in this intimate enclave of homes. The community is just minutes away from all the shopping, dining and entertainment Atlanta has to offer, not to mention office buildings and more. In addition, the community is located in the desirable Sarah Smith Elementary school district. Right now, four homes have started and are slated for a fall move-in. Traton Homes’ newest communities. Tucked away among the distinctive Milton landscape, the community features large one-acre homesites and homes featuring basements and three-car garages. This community has four homes currently underway that are scheduled to be ready in October. Homes are priced from the mid-$500,000s, an exceptional value for this area. 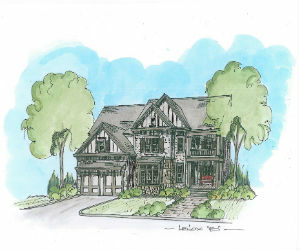 Davis Farm is a Kennesaw community of only 30 homes, 21 of which will be built by Traton Homes. Homes are priced from the mid $300,00s and feature three-sides brick, cedar shake and/or stone exteriors. The first two pre-sale home buyers will receive a free third-car garage. Davis Farm is conveniently located off Stilesboro Road, giving homeowners access to great schools, restaurants, shopping and other conveniences. Oakwood Creek in Kennesaw is an enclave of only 18 beautiful homesites. Homes are priced from the High $200’s and feature exceptional included features such as granite countertops, maple cabinetry, recessed lighting and stainless steel appliances in the kitchens and 9 ft. ceilings on the main level. Oakwood Creek is located off North Hadaway Road in the desirable Harrison High School District.